If you happen to be looking for the film reviews of Kevyn Knox (aka, Me!) you are a bit too late. 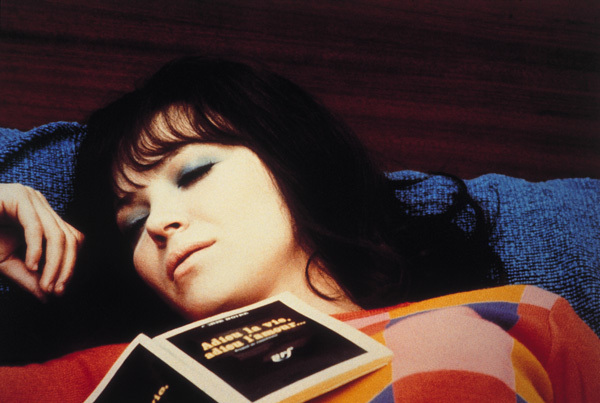 Like Anna Karina in the picture below, this website is fast asleep. I now post all my new reviews over at The Most Beautiful Fraud in the World. Please head over there to read all my new reviews, as well as many other cinematic writings. You will also find a full review archive with links to each and every one of my reviews - including all those originally published here. Many of the missing pages from here will be reappearing at The Most Beautiful Fraud in the World any time now. My rather obsessive take on The History of Midtown Cinema can still be found here, but eventually that will move on over as well. Hope to see you at the new digs.